This is one of those Never Knew You Needed It Until You Saw It moments. Ash vs. 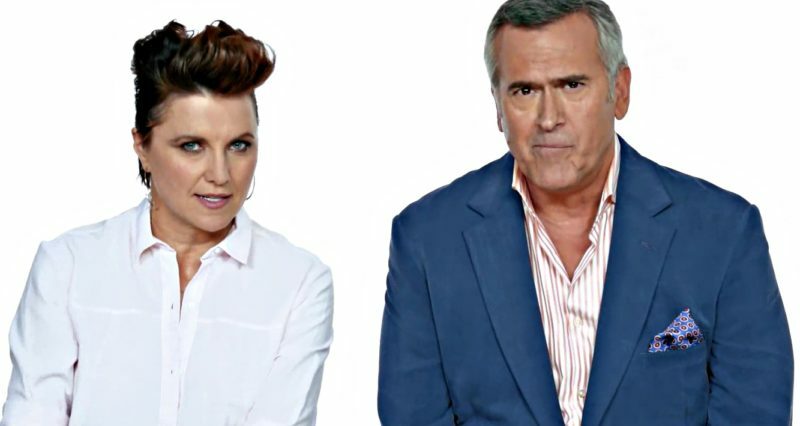 Evil Dead stars god and goddess Bruce Campbell and Lucy Lawless live-watch some classic horror film footage — Alien, A Nightmare on Elm Street, Halloween — and rip it to shreds provide their insightful comments on the acting, death methodology, and overall scare factor … mostly they comment on the cool death scenes, though. Their easy rapport and single-minded slant is so damned good we wish this was a regularly scheduled series. The pair also put in bids for President and, I don’t know about you, but I’m totally on board with a Knowby/Williams ticket. Previous story Which Avenger Volunteered to Voice Mark Zuckerberg’s AI?